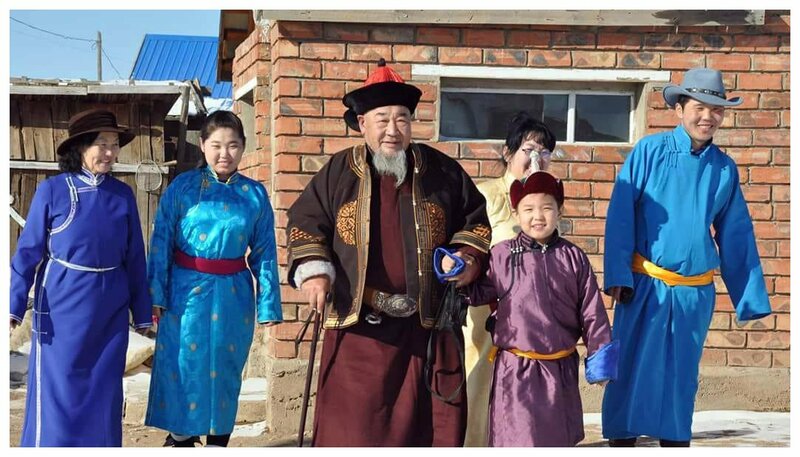 “This year’s Tsagaan Sar is going to be one of the most special for me” says Batu from our Mongolia office as he looks ahead to this years celebrations. Tsagaan Sar marks the end of winter and the official beginning of spring and is celebrated over the first 3-days of the Mongolian Lunar calendar, which usually takes place in early to mid-February. Think Christmas and New Year rolled into one! If you’re brave enough to travel to Mongolia in late winter then you may even find yourself in amongst the hustle and bustle of Tsagaan Sar, one of the most beloved traditional holidays in Mongolia. “I have spent much of the last 5 years overseas for college,” Batu continues, “and I’m looking forward to seeing and catching up with many of my relatives”. 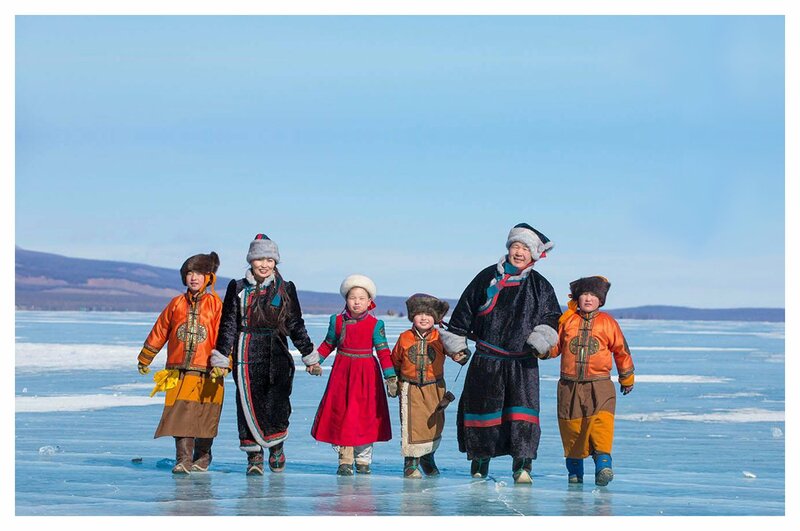 Traditionally, Tsagaan Sar, or Lunar New Year, was a nomadic gathering of family and friends to see if everybody endured the harsh winter months with no problem and hardship, and still is for many nomadic families that roam the rolling steppe. For modernised city dwellers it has become a time to honour their elders and wish everybody another year of prosperity and well-being. Families usually prepare for Tsagaan Sar weeks in advance, some even months, to make hundreds and hundreds of buuz. On the eve of the festival, the entire country seems to come to a halt whilst everybody is busy at home preparing for the day after, and is spent much like a Christmas eve with families spending time together and eating until they’re full. In Mongolia this day is called “Bituun”, or “Full Day” in English. “As one of the eldest children in the family, I am expected to help out with the cooking. So a few days ago I dropped by my grandmother’s to help prepare for the feast. This year my grandmother’s family have made 200 buuz and about 2 kilograms of potato salad” Batu proclaimed – and that’s just for breakfast. A speciality during the Tsagaan Sar feast is the “uuts”, cooked sheep’s back and tail. The fatter the tail, the bigger representation of the family’s wealth and prosperity. Traditionally, this was the indication that the family has spent their winter with no misfortune. Also found on the feast table is buuz, a variety of dairy products, sea buckthorn juice, white rice mixed with raisins, and bottles of vodka. Some families even make khuushuur (Mongolian hot pockets) and dumplings as well. So, if you’re ever in Mongolia during the festival be sure to sample all the traditional Mongolian food that is on display, but remember to leave some space for your next visit. If you visit Gandantegchinlen Monastery on the following morning you will run into a crowd of people busy listening to the morning prayers and chants, a historic tradition of Mongolian people that were under deep Buddhist influence. Out on the streets you may see entire families running somewhere! They are just rushing to gather at the home of the eldest member for a day long feast while exchanging tales of the passing year and many gifts. Upon arrival the family members engage in a traditional greeting called “zolgoh”. Two people stand face to face and half extend their arms with palms up. The young always put their palms under the elder’s elbow, as support and a gesture of respect, and they come together cheek to cheek – be sure to remember this if ever you’re visiting a family. This entry was posted in Goyo Travel Photos & Blogs on 30th January 2019 by Goyo Travel.